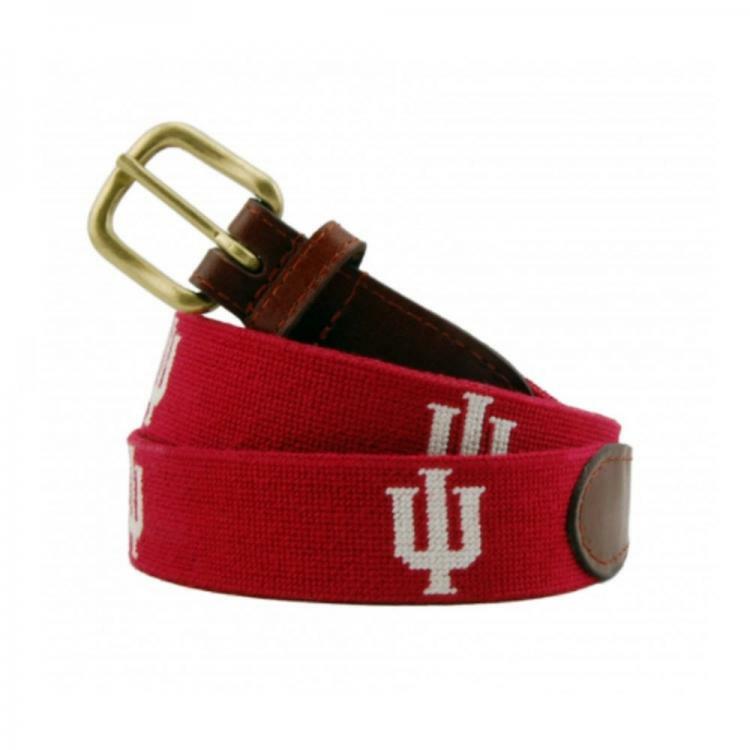 Every Hoosier needs one! 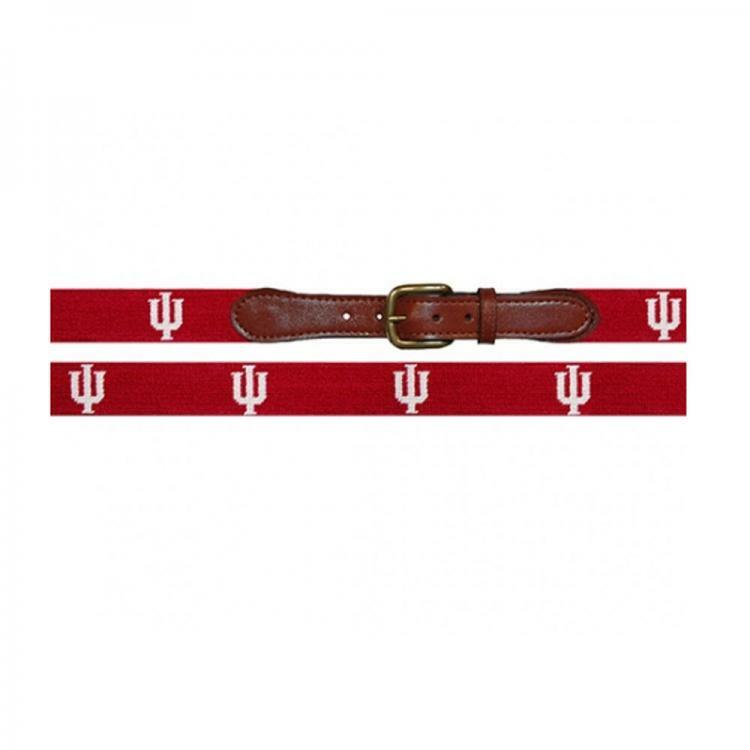 A beautifully handmade light garnet belt designed with the classic IU symbol, so everyone knows where your loyalties lie. You may add a monogram to your belt, but be aware it takes up to 6 weeks to receive your belt if you monogram it! If you do not want a monogram, just skip that step. We have spotted our traditional needlepoint belts at cocktail parties and at the office, but they are also perfect for a day on the water, the links, or a night at your favorite watering hole. Wherever you may be, your belt will set you apart from the average waist. Smathers and Branson produce a top quality handmade needlepoint belt. The fact that it is made by hand allows for more detail to be included in the design. All needlepoint is affixed to soft calfskin straps with solid brass buckles.